With our wide range we always have a suitable gift card. Our gift card guide will help you. We are the most personal gift vouchers webshop in the Netherlands. Make a choice for a gift card. Give it a festive touch with a selected package. Choose, for example, a bottle of wine or a bar of chocolate to make the party complete. Make it personal with your own message. Choose one of our choice giftcards. Personalize gift voucher for your company? Would you like to surprise somebody with a nice gift card? In the gift card overview on this website, you will be able to see what the best gift cards are of this moment at a glance. In the wide selection, you will find popular gift cards including Bol.com, Diner Cadeaubon, Boekenbon and the VVV Bon. So it is even possible to order different types of gift cards at once! Giving a gift card only comes with benefits, actually. As the giver, you might have an idea of what kind of gift to give, such as a book, home item, or a trip. But finding the right gift could sometimes prove to be quite a challenge. Cadeaubon.nl offers you the solution! Choose the gift card that matches your gift idea. The recipient will be given the freedom to use their gift card as they wish. This means you will from now on always hit the mark with your gift! The power of cadeaubon.nl is sourced from the wide and diverse selection. Here, you will find the right gift card for anyone and any occasion. Are you looking for a gift card for a man or a woman? Are you looking for a unique gift for young parents, the neighbor girl who passed her exam, your father who is going to retire, or perhaps a Christmas gift for your employees? Anything you can think of, you will be able to find a suitable gift card for it. Furthermore, you will be able to give both small as well as larger gifts. 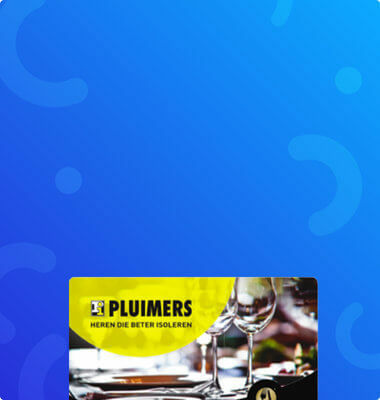 You can give a nice night out with the Diner Cadeaubon, Podium Gift Card or Bioscoopbon. Or you can order one of the sporty gift cards, such as the Nationale Golfbon or the Sportief Shoppen gift card. There is no limit to the possibilities! Do you still doubt about whether giving a gift card would be personal enough? 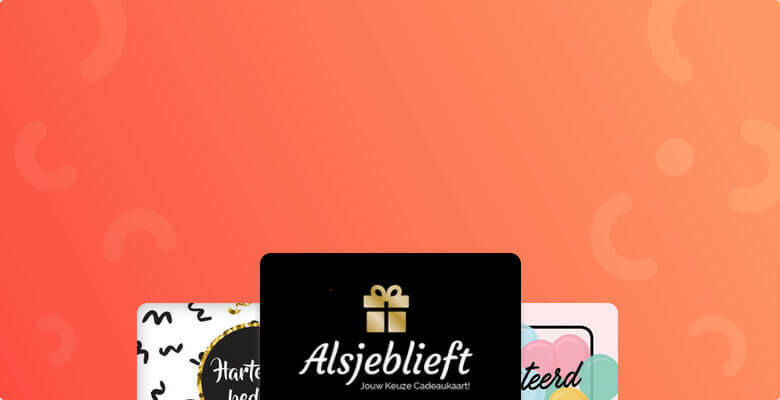 At cadeaubon.nl, we are convinced that a gift card is the perfect mix of a versatile and personal gift. First off, you are the one to decide on the theme of the gift card, so you are the one giving some direction to it. Secondly, we offer you the all kinds of great possibilities to make your gift even more personal. For example, you can add your own message, photo or even a nice bottle of wine to your gift card. We also have special gift card wrappers, each with their own theme. "Hip Hip Hurray", "Married" and "Thank You" are just a couple of nice examples. Buying a gift card does not need to be a time consuming task. On our website you can easily, quickly and safely order the desired gift cards. On the order page you will first choose the number of gift cards and a value between €10 and €150 that it should be charged with. Afterwards, it will be possible for you to personalize your gift cards, for example with a festive wrapping. You can then choose where to and when you would like to have the gift cards delivered. If you order before 5 PM, this could be the next day! Payments can be made with iDEAL, credit card or through an invoice (for businesses). Ordering gift cards online is the quickest and easiest way! The team of cadeaubon.nl has a lot of experience with business orders. Are you going to order the gift cards on behalf of a company? Then you can make use of our expertise and additional benefits. Business orders can be easily done through an invoice. We also like to think along in terms of customization for your company. For example, it is possible to personalize your gift cards by having your company logo printed on the cards. Feel free to contact us for a custom quote!